The commercial capital of India, Mumbai is the certainly the city of dreams. If you still haven’t visited this glitzy city, studded with the homes of Bollywood stars, then you are certainly missing out! So, if Mumbai has always found a mention in your list of places you would like to visit, then do not wait, and plan a trip on the next long weekend. In many ways, Mumbai is one of the best cities to dwell in India. Home to shopping and plazas galore, it is a haven for shopaholics. The cosmopolitan nature of Mumbai’s culture makes the place a melting pot of a number of religions, castes, which makes it a mini-India. You can find people belonging to different walks of life, and the various kinds of cultural differences will leave you spellbound. So, if the aforementioned details if the city of Mumbai, has left you longing for more, then you must book a tour of the city with Reality Tours & Travels. 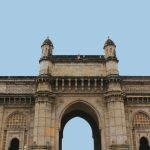 You can choose from slum tours, city tours, and special tours, to catch a glimpse of the many different aspects of Mumbai. The locals of Mumbai are super-cool, warm and friendly. Plus, the Mumbai seafood is to die for! The best time to Mumbai tours is between October and March when the weather is very pleasant. Reality Tours & Travels is dedicated to showing you all the important aspects of Mumbai, with our best Mumbai tour package wherein, you will be totally satisfied with your visit. The tours are meticulously planned to ensure, that there is no wastage of your limited time during you Mumbai tour. These affordable tours will make your time worthwhile in the city, while you can speculate on the different facets of this magical city. 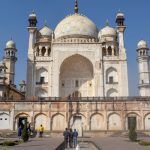 You no longer have to haggle with tour guides who might misguide you and extract extra money from you, all thanks to the affordable pocket-pinch for Mumbai tour packages put forth by Reality Tours and Travels. You can make online bookings for added conveniences, after which you will be taken to a comprehensive Mumbai tour. Check out the Bollywood stalwart bungalows and apartments, spot the movie stars, taste everyone’s favourite chaat’s and Chowpatti beach, feel the serenity at Marine Drive, or reel in the spirituality of the iconic Siddhi Vinayak Temple. Reality Tours and Travels, give you a number of tours to choose from, so select wisely. Go for a wonderful trip to the buzzing city which does not sleep! Do not forget to check out the colonial buildings and slums, which will give you a glimpse of old India. Do whatever, but do not miss visiting the Gateway of India, because, it is the very symbol of the spirit of Mumbai. 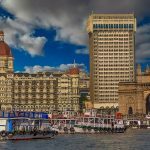 Go to the Southern tip of Mumbai, visit Haji Ali, check out the slums and Dharavi, visit the Elephanta caves, and do lots more, on your next Mumbai tour. The trusted guides will take you along the not-so-famous places in in the city which might take you by a pleasant surprise. 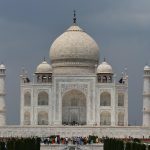 The Mumbai tour packages by Reality Tours a travels are worth every penny!